Are you travelling to Cyprus? Have you got a lot of baggage to take with you? If so, My Baggage can help. We offer a door to door luggage shipping service. Our fantastic low cost service means you don’t have to pay a fortune on excess baggage fees. Instead, you can travel luggage-free and enjoy the journey to your destination without the stress and worry of luggage whereabouts and long waiting times! Cyprus Is the Third Largest Island in the Mediterranean and indeed, an Island for everyone. With a reputable nightlife to ancient ruins drenched in history, it’s certainly suitable for the old and the young. The summers in Cyprus are long and dry, so there’s no need to limit yourself to only going during the busy summer months of June, July and August. The climate in sunny Cyprus is generally high from May through to October which means there’s plenty of opportunities for you to fit a trip into your busy schedule. A super safe place to live due to it’s low crime rate. It’s said to be Aphrodite’s mythical birthplace. 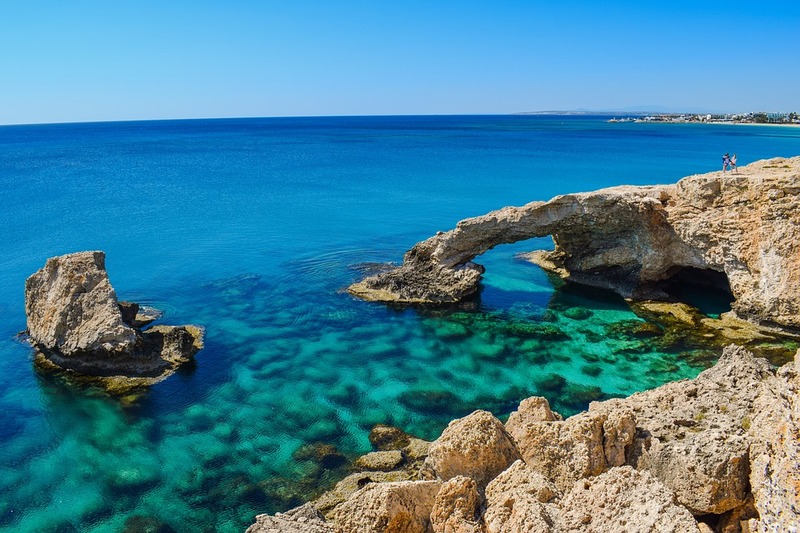 An amazing 64 beaches in Cyprus are Blue Flag certified. The map of Cyprus is on the nations flag. Over 2 million tourists visit Cyprus each year. Regardless of your reason for travelling to Cyprus, whether it be for a holiday or a maybe even a relocation of home, you’ll want to bring luggage. However, airlines have high excess baggage fees that can be a total pain after paying for a trip abroad. If you’re fed up of getting charged for excess baggage, you can ship luggage to Croatia with a luggage shipping company at a low cost. Most shipping companies are convenient and easy to use, making the process of transporting personal effects to Croatia an easy one. If you’re sending larger, household items we recommend using a traditional removal company as they will ship items that are too big to be shipped using other methods of luggage transportation. 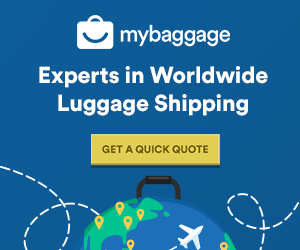 My Baggage is a Door to Door luggage shipping service, we ship luggage worldwide for our customers on a daily basis. Shipping luggage to Cyprus has never been easier, thanks to us! That’s right. We like to keep our prices as low as possible to make our customers happy, allowing them to have a little more money to spend in their destination. If you’re thinking of using one of our service, you really don’t have to do too much at all. Once you’ve booked your shipment with us we will soon send you some labels to attach to your luggage then you can sit back and relax. Our drivers will then pick up your luggage from your door on the agreed date and it will get shipped directly to the door of your destination. Here at My Baggage, we have a team of customer service experts that know luggage shipping like the palm of the hand (Very well!). If you need any help along the way or simply want to ask us a question that’s playing on your mind then don’t hesitate! Get in touch! Our experts are contactable through telephone, live chat and email. When travelling to Cyprus, you might need or want to take much more than just luggage. Thankfully, My Baggage doesn’t only ship luggage and can ship a number of things that our customers like to have with them when in Cyprus. Have a look at some common things we ship for customers, if you have an item that you would like shipped to Cyprus and it is not mentioned here, do get in touch and we would be happy to advise you on whether we can ship it or not. Having your bike in Cyprus means you can head out and explore at anytime of the day. You haven’t got to plan your day around bus and train times, or worry about the expense of taxis. Instead, you can have your own bike in Cyprus and plan your day without having to work around others. If you plan on shipping your bike to Cyprus with My Baggage, please ensure that your bike is ready for transit on your collection date. Your bike must be dismantled and placed within a strong, double/triple-walled cardboard box. Local bike shops can often dismantle your bike for a small charge, or you can save your money and dismantle it yourself if you are confident in what you’re doing. Whether you’re heading to Cyprus for a golfing holiday or you’re just hopping to squeeze some golfing in during your time there, ship your golfs to Cyprus with My Baggage. Thanks to My Baggage, shipping golfs to Cyprus is nice and simple! You can start by getting a quick quote below. My Baggage shipments generally clear customs in a timely manner, free from duties and taxes, as most countries offer a generous duty-free allowance for personal effects. However, My Baggage has no control over any customs decisions made so we do advise you to take time and undertake research into Cyprus customs and quarantine before booking your shipment. Please make yourself aware of potential customs duties in Cyprus and be sure to follow all advice provided by customs directly. Due to customs and security reasons there are items that are prohibited items that you cannot have in your baggage. If there are prohibited items in your luggage, your shipment may be delayed or returned. Customs and Security is different all around the world. Therefore, we highly recommend to do your own personal research prior to shipment. However, do keep in mind that some items can be carried on our services but may not be covered by compensation. These items would be sent at your own risk. If you choose to send any non-compensation items, do ensure they are packaged securely and appropriately. Making a booking with My Baggage is quick and simple. Start now by getting a quote using the box below. Booking your luggage shipment to Cyprus is only a few clicks away then you can relax!